Leelah Alcorn was a transgender teenager who committed suicide on 28 December 2014. In a suicide note posted to Tumblr, she said that her death ‘needs to mean something’ and hoped that her suicide would make a world which accepted transgender people as they are. In the ensuing uproar over her death on the internet, an interview with her parents has been repeated left, right and centre. In the interview with CNN, her mother repeatedly referred to her daughter with masculine pronouns. When asked about her daughter being transgender, she said, ‘We don’t support that, religiously,’ in reference to her Christian faith. Leelah’s suicide note referenced the poor treatment she experienced at the hand of her parents, including their attempts to send her to Christian counsellors and denial of permission to start transitioning. Dan Savage has publically moved for the parents to be charged in the death of their daughter – which might be a good move if there was a distinct law which would allow for them to be charged and actually have a chance of resulting in conviction. The truth of the matter is that it is unlikely that her parents will ever be charged in their daughter’s death, whether or not they were responsible for ill-treatment. Every charge against them that has been raised publicly so far could easily be reworded to sound like traditional forms of ‘grounding’ rather than forced isolation. Without some sort of ‘smoking gun’, Leelah’s parents will just seem ignorant, not malicious. There is something to be said for the anger directed towards Leelah’s parents, whose use of male pronouns in reference to her late daughter is disrespectful to her memory in the extreme. Anger is a justified response. But the pain of a parent who has to bury their child is unimaginable. One of the reasons people have children is so, in some way, something will live on after them. To lose a child is the most crushing blow a parent can experience. We must remember this, just as we should have remembered that the Phelps family lost their father when Fred Phelps of the Westboro Baptist Church died. In the case of the Phelps family, they were genuinely horrible people who had caused pain to so many already in their darkest hour, rather than parents who seemed insensitive at best and incompetent at worst. I hoped after the death of Fred Phelps that the LGBT+ community would come around to help the Phelps family through their hour of grief and in doing so show them what kindness looks like. Instead many of us took the route of just being as awful as they were – taunting them, threatening them, and saying that Phelps was in the hell from which he was spawned. Let us not repeat this mistake here. There are things which we can do – things which people like Dan Savage are not publicly supporting or even calling attention to through their various media outlets – to push for legal protections for transgender people. We have to direct our energies in a way that can actually change things for the better from a social and legal standpoint. There are dozens of petitions which have come my way via the internet and I have signed almost all of them. The one which is the most interesting and the most important, however, has yet to get the traction it needs. It is a petition run through the White House’s official website. If the petition gets 100,000 signatures by 30 January 2015, then the White House will review it and make a public statement about it. This sounds like small potatoes, until you remember that this will mean that the White House will be forced to directly address the question of transgender discrimination and the rights of transgender children and teenagers on the world stage. This is a massive ‘signal boost’ – one which can go beyond the world of the internet. This is the kind of thing that can help people like Leelah all over the world. 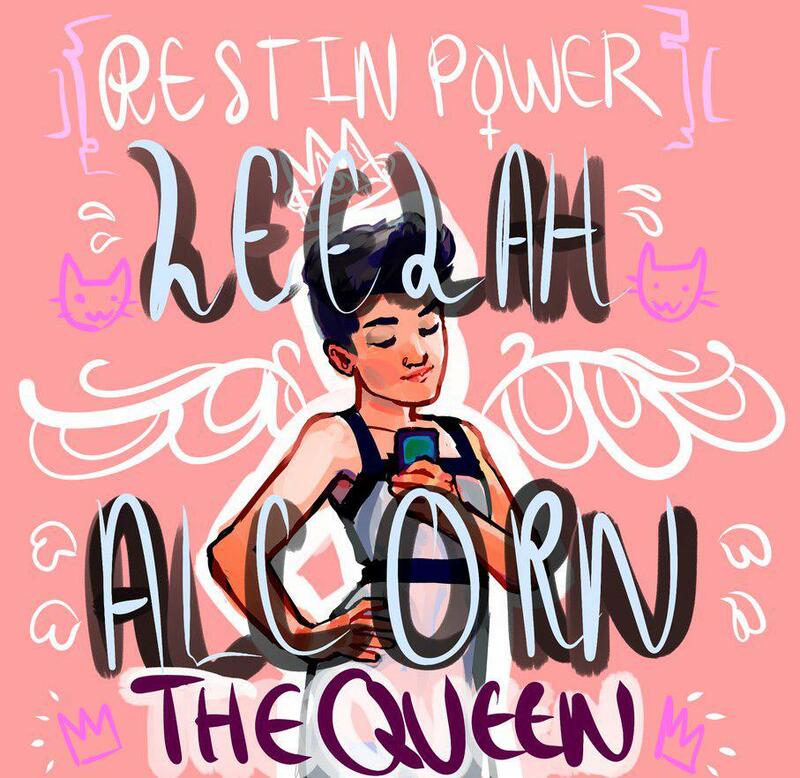 Let us make sure that the loss of Leelah Alcorn does not fade quietly into the night.